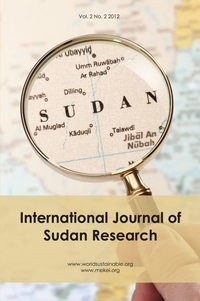 Purpose: The purpose of this viewpoint paper is to review the past and current status of research and the problems facing research and researchers in developing countries, giving Sudan as an example. Design/methodology/approach: The source of the material is published papers, data from reports in grey literature and personal experience of the author in research over the last 50 years. Findings: A major problem is paucity or lack of funding by the government, the local non-governmental organizations (NGOs) and the private sector. Consequently, many of the local health problems, particularly those affecting the poor, are not addressed properly. Most of the research in the past was between Sudanese and foreign research institutions, mainly in Europe. These were funded by the European Union or directly by a European country. This collaboration resulted in the development of infrastructure and the training of Sudanese scientists to take the lead in research on local problems. The Sudanese National Council for Research, with its specialized councils, played a major role in this. At present, there is no effective national body entrusted with coordinating and funding research. With the recent sanctions imposed on Sudan, we have lost most external funding. Had it not been for some NGOs in Europe such as the Drugs for Neglected Diseases Initiative (DNDi), it would have been impossible to perform any meaningful research. Even if we secure local funds we are unable to buy equipment or reagents simply because many firms are prohibited from supplying research reagents and equipment to Sudan as a result of sanctions imposed on the country. Because of the deteriorating situation of research and services, many Sudanese scientists are leaving the country. Other reasons for this exodus are discussed.